Update: Met with criticism around the web, the ALS Association has now withdrawn its applications to trademark the phrase "Ice Bucket Challenge" with the United States Patent and Trademark Office. The ALS ice bucket challenge has made its round across the internet helping to raise more then $94 million for the cause, the now the ALS Association wants to trademark it. 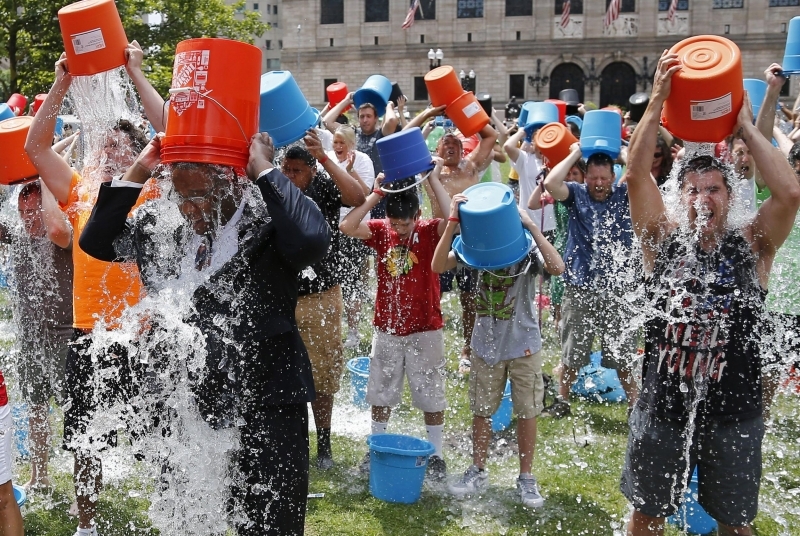 The group filled for trademarks on the phrases "ice bucket challenge" and "ALS ice bucket challenge" on August 22nd in what many are considering a somewhat controversial move. While the benefits the viral campaign have brought to amyotrophic lateral sclerosis (also known as Lou Gehrig's disease) are extremely valuable, there are issues that arise when it comes to trademarking the terms. The ALS Association certainly doesn't want the popular activity or phrase being used by fraudulent outfits and those with malicious intent, but some suggest the move stops other, important charitable causes from capitalizing on its popularity. While legal experts have suggested that trademarking both issues is in poor taste, others say it would be hard to believe that two charity organizations would go after each other in court. Stopping a charitable organization from raising funds certainly wouldn't look good on the ALS Association, or any other group for that matter. Nothing is guaranteed here though. Not only is tracing the beginnings of the ALS ice bucket challenge difficult, but most legal experts and those familiar with the situation suggest it is going to be tough to lock down these particular trademarks.